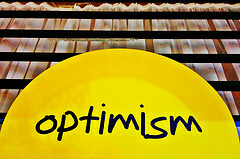 Here’s my April 2011 posting for Positive Psychology News Daily in it’s entirety this time. Sorry it’s so much later than usual, hopefully you’ve been able to keep uptodate via PPND. This month I look at the implications of new research on happiness, in particular the roles of fit, motivation and effort in becoming happier. Feel free to add comments here and/or at PPND. It’s important to do the right positive exercise. It needs to be empirically validated, and it needs to be right for you. If, for example, expressing gratitude or optimism doesn’t do it for you, try something else. You must be highly motivated to improve your well-being, and, if you’re working with clients, they need to be aware of purpose of the positive exercise. Sceptics need not apply! There’s no getting away from it. You have to carry out the activity conscientiously and persistently. In other words, you need to invest time and effort into practicing. If you think you can take short cuts, forget it! In the Positive Psychology Masterclasses that I co-present with fellow University of East London MAPP graduate, Miriam Akhtar, the important role that gratitude plays in boosting well-being often comes up. Gratitude is active when people write thank-you letters, reflect on three good things at the end of the week, or simply say, “Thank you,” to someone (and really mean it). As it happens, we’re in good company here: Thank you, Sonja Lyubomirsky, for being honest enough to admit that expressing gratitude doesn’t float your boat either. During our MAPP programme, when we were assigned to test out various happiness-enhancing activities on ourselves and report back, we often argued about the idea of fitness. Some of us found that a particular exercise worked really well, and we may even have continued to practice it after our assignment was handed in, whereas other students couldn’t get on with it at all and stopped at the earliest opportunity. In her book, The How of Happiness, Sonja Lyubomirsky devotes a whole chapter to the question of suitability, pointing out that although it’s widely accepted in the domains of diet and physical health, thinking about whether a particular approach will suit us isn’t something we often do when considering our emotional and psychological health. She explains three elements of suitability: fit with the source of your unhappiness, fit with your strengths, and fit with your lifestyle. The advice is that choosing appropriately will vastly increase your chances of succeeding when you’re contemplating doing any exercises to increase your well-being. On top of suitability, her new research with her colleagues Rene Dickerhoof and Julia Boehm (University of California, Riverside) and Kennon Sheldon (University of Missouri, Columbia) suggests there are two other important factors which influence your chances of increasing your happiness when you carry out an evidence-based happiness exercise: your motivation and the effort you invest. Evidence-based exercise 2: Expressing gratitude by remembering times when you were grateful to another person and writing a letter to that person (but not sending it). Well-being was assessed using a range of measures at the start of the study, at the end of the 8th week, and again another 6 months later. The degree of effort and energy that participants put into their writing exercises every week was assessed by independent coders who ranked it on a 7 point scale. The researchers interpreted self-selection into the happiness intervention group as an indication of motivation to become happier. They hypothesized that that the ones in the happiness intervention group that performed one of the positive exercises would report greater gains in well-being than those in the cognitive exercises group, even though they completed exactly the same empirically-validated happiness activities. They predicted that participants in the experimental conditions in both groups would report greater gains in well-being than those in the control condition. Researchers also predicted that those participants who exerted more effort would demonstrate a greater boost in their well-being compared to those who exerted less effort, and that the effort effect would be strongest in the two experimental conditions and weakest or non-existent in the control condition. As a whole, combining both happiness intervention and cognitive exercise groups, there was no significant difference in the well-being levels of the participants who completed the two empirically-validated exercises compared to the control group either at the end of the 8th week, or at the 6 month follow-up. Given that expressing gratitude and optimism have been shown in other studies to increase well-being, this may come as a surprise. The researchers explain this in terms of the role played by one’s motivation to be happier. In other studies, all participants were interested in increasing their own happiness and were aware that this was the purpose of the study. In this research, some participants thought they were signing up for cognitive exercises, but at the start were told that the aim of the study was to improve well-being. In other words, it may be that expressing optimism or gratitude is simply not as meaningful or useful to people who aren’t motivated to practice them. At the end of 8 weeks the happiness intervention participants reported greater increases in well-being compared to the participants in the cognitive exercise group. The happiness intervention participants who completed the positive exercises reported greater increases in well-being compared to both the cognitive exercise participants who did the same exercises and to those in the control condition. After 6 months, the happiness intervention participants who completed the positive activities reported greater boosts in well-being than those in the cognitive exercise group who practiced the same exercises and than those in the control groups. What Role does Effort Play? In terms of effort, as predicted, the results suggest that the amount of effort we use when practicing positive exercises such as expressing optimism or gratitude does affect subsequent gains in well-being, but doesn’t have a significant effect when we do a neutral or less meaningful activity, such as listing our previous week’s activities. The study results indicate that motivation to become happier (in this case demonstrated by self-selection into the happiness intervention group) and continued effort make a difference, but only in the two positive activity conditions, not the control. Lyubomirsky and her colleagues conclude that happiness activities such as expressing optimism and gratitude are more than just placebos, but that they are more effective when participants are motivated to improve their well-being and put effort into doing them. It’s important to do the right positive exercise. It needs to be empirically validated, and it needs to be right for you. 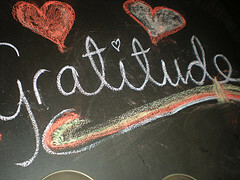 If expressing gratitude or optimism doesn’t do it for you, try something else. So with those three guidelines in mind, what will you do differently?